Summary: When God came to the man and the woman after they ate the forbidden fruit, each was quick to try shifting the blame elsewhere. Adam blamed Eve — and God. 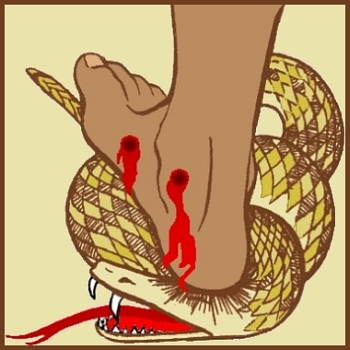 Eve blamed the serpent. God assigned blame (and punishment) to each. However, He reserved the greatest blame for the Seed of the woman, who would come to crush the serpent’s head. Text: And they heard the sound of the Lord God walking in the garden in the cool of the day, and the man and his wife hid themselves from the presence of the Lord God among the trees of the garden. Audio: Click to hear the MP3 of The Blame Game, preached to the saints of God at Faith Lutheran Church, Knob Noster, Missouri.